Why do hotels bother creating key cards when they can just let you use your own credit card? Since a hotel key is basically just a card with a number on it, why not simply let people use a card they already have with them. This saves them time and money on programming new key cards, and it eliminates the need to collect the cards when you check out. As a bonus, it's actually more secure because guests are not likely to lose them, and even if they do, they're not likely going to be in an envelope with your room number printed on the outside. Don't you hate putting your laundry back into your luggage? Sometimes when I travel, I make a trip to Wal-Mart for fresh underwear and socks. I don't take them with me. The new ones are to replace the ones I plan to throw out on my trip. This not only gives me some extra space in my luggage when I return, but it keeps everything fresh. As a bonus, I've got new ones waiting for me when I get home. While this may sound unusual to some people, I've heard similar stories from other people. 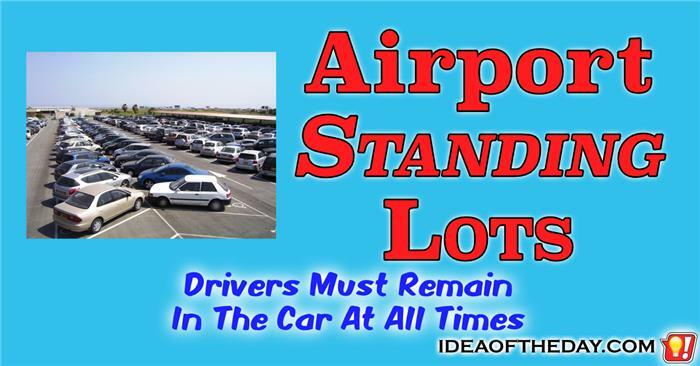 For example, some people like to use a local laundromat before the return trip. 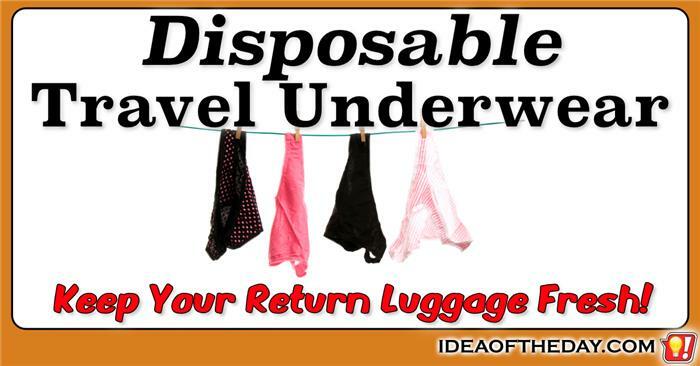 In either case, the objective is the same, keeping your dirty socks and underwear out of your luggage. Taken to the next level, wouldn't it be great to just bring along disposable socks and underwear? It's not easy picking up people from the airport. I recently picked somebody up from the airport. After checking flight information, I arrived at the airport within 10 minutes of the estimated arrival time. What I didn't expect was a 2 hour wait for him to come through customs, which meant that I had to circle the terminal over and over until he eventually made it to the pickup area. Security at pickup areas is intense. They don't allow cars to sit there for more than a minute or two before somebody comes along and threatens you with a ticket. This means that you often don't have any choice, but to keep circling again and again. I've had this idea in my head for almost 15 years. We need to stop focusing on stronger doors and taking away nail clippers. Let's render the planes incapable of harming human life. Right after 9/11, when everyone focused on beefing up security and locking the pilot's door, all I could think of is... Who cares about the door? Just make sure the plane has a self-defense system that blocks ANYONE from intentionally causing harm with the plane. We all know the bad guys went to flight school to learn how to be pilots. It would only be a matter of time before the bad guys didn't need weapons to get into the cockpit, because they would eventually find a way to become actual pilots.